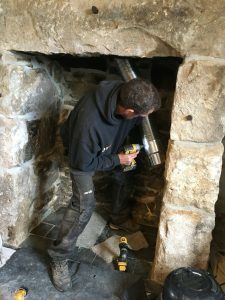 If you are considering having a stove installation, and are not sure if it is possible or what is involved, we recommend that you get in touch as soon as you’re considering having a stove fitted. We are loaded with information and love passing correct knowledge on. We normally ascertain what your installation involves over the phone/email and hence give you a ball park figure prior to performing a survey. This allows us to be wise in our time management and gives you an idea of what you should expect to pay for an installation. Fair enough? We think so. Firstly it’s free – so no money is involved! They usually take anything from 30-60 minutes. If you’re in a rush, the survey can be performed within 10 minutes. If we are running ahead or behind schedule, we’ll contact you with as much notice as possible. We’re not in this business to cause inconvenience. We hope you share the same courtesy and respect and notify us if you can’t make the appointment. No problem, we’ll just re-schedule. 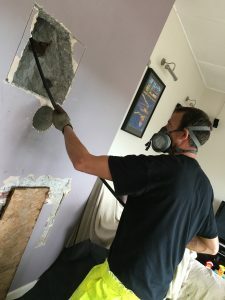 It’s considered good etiquette to not book other tradespeople in and around the same slot. 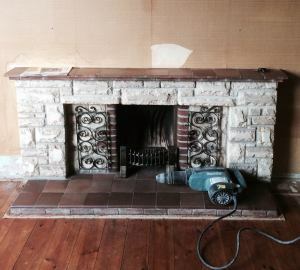 The survey might be delayed or run over and we simply ask for your attention as putting a stove in a property can be a serious matter! Where possible, we also ask that the person responsible for the enquiry is present as communicating correctly as to what you want and what we are able to do is very important at this stage. We listen to what you want. If you have an idea of what you think it should look like and what style of stove you like, this is a great start. We’ll inform you what is possible and feasible in relation to what you want, building regulations and your property. There may be several options for installations. Don’t worry if you don’t know what you want as we’ve done hundreds of installations and can guide you through your choices. During the survey we take various measurements, inspect your chimney, loft, roof and stack (if you have them!). We will also give you lots of advice and information – don’t worry if you miss anything, we take notes so you don’t have to and will send you anything relevant via email. Your free estimate will be with you within 5 working days, if not sooner. The estimate will detail all the information relevant to your specific installation. It is important that you read it and ask any questions that you may have regarding any issues detailed. 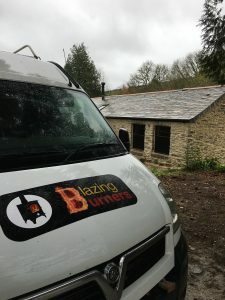 After the survey, you will also have a clear idea of what you want, what can be done and you’ll be able to get started making decisions on various choices you have and stoves that will be suitable for your needs. Book your free site survey by clicking here. We may not have a showroom but through our sister company, Perran Stoves, we can supply just about every stove available on the market. This can actually be to your advantage as we are not biased toward any specific brand. 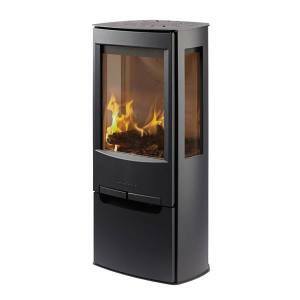 Therefore we can offer impartial advice on a variety of stoves that would be suitable to your situation. We’re not limited to a select amount of manufacturers. 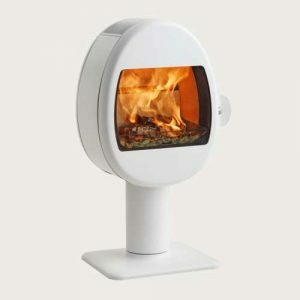 Through our extensive range of suppliers we can provide stoves from almost every manufacturer. Click on any one of the manufacturers listed below to be directed to their website. Aga, Amesti, Arada, Be Modern, Bronpi, Broseley, Caminos, Charnwood, Charlton and Jenrick, Chesneys, Clean Burn, Clearview, Dovre, Dunsley Heat, Ecosy plus, Esse, Euroheat, Eurostove, Franco-Belge, Gazco, Harrie Leenders, Heat Design, Hunter, Jetmaster, Jotul, Mendip, Morso, Nibe, Nordica, Panadero, Parkray, Pevex, Piazetta, Pyroclassic, Rais, Rofer & Rodi, Salamander, Saltfire, Stovax, Termatech, Town and Country, Villager, Waterford Stanley, Woodwarm, Yeoman. However – You don’t have to buy a stove from us. We can perform an installation only service. 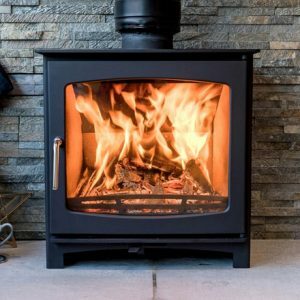 Providing the stove you have meets strict installation criteria and is fit for your purpose, we can install a stove you have supplied. We strongly advise that prior to buying a stove, you contact us and arrange a free survey, or at the least let us talk to you, because we can guide you in making the correct choice from a variety of stoves – and more importantly – avoid making the wrong choice and being left with a stove that we (or other HETAS companies) cannot install. It doesn’t happen often but it does happen! We have a vast network of suppliers and also have affiliations with most local showrooms. If you want to go and get personal with a particular stove and actually see and touch it, we can arrange that. We have even put our customers in touch with each other so that they can actually see the stove in a property. 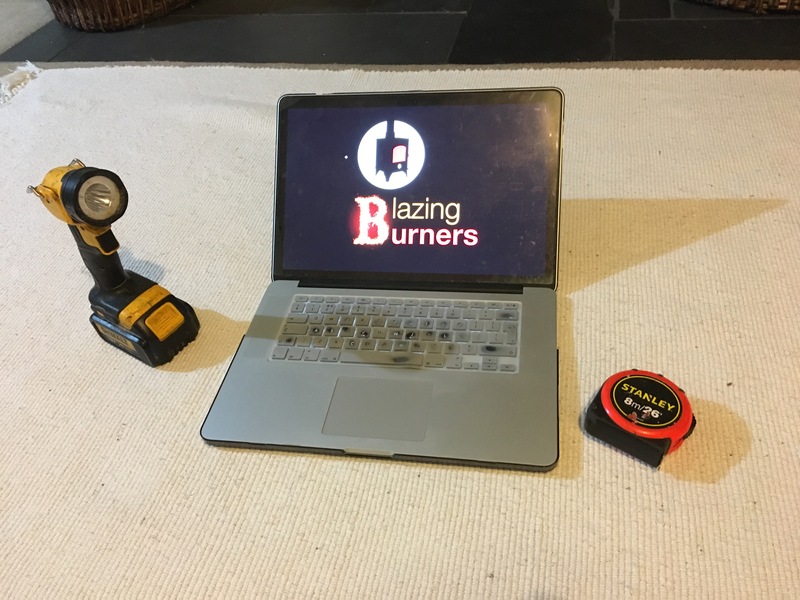 We try and price match stoves. However this is not always possible. When we can’t, we’ll let you know and we’ll give you our best price. You can decide if you want to purchase it elsewhere. If you have bought the stove from us, we will take delivery of it, store it and then bring it along on the day of the installation. You don’t have to be around to sign for it. Brand new stoves are packaged well to prevent damage on carriage. They are heavy and bulky. They are often encased in wood or on a pallet. Moving them requires two people. The delivery company tends to turn up in a van with one person who will have access to a sack trolley or at best a pallet jack/truck. Getting it into your house or in your garage is often another issue. Upon delivery, you should check your stove. You normally get about 10 minutes in which to do this which is ridiculous! Even if you’re organised and have your driver, socket set or crowbar ready, you then have to remove the cardboard box and the plastic cover that normally wraps completely underneath the stove. You’ll need to open the stove door, remove all the parts and check that they are all in good order – assuming that you know what you are doing! On the installation day, If you haven’t checked the stove and the stove is damaged, we will be limited in what we can achieve and will have to return. We hope that you can appreciate that this is chargeable. Furthermore, if we have to return after the installation is complete due to an issue with the stove this service is also chargeable. Any money you might have saved on your stove will likely have gone by now. If we supply the stove, and there is a fault with it, we will not charge any fees to correct the problem. 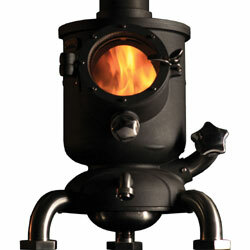 If you want more information on stoves please click here. We have a whole section on this website dedicated to this. Everything you need to know about it. So what are you waiting for…click here! We offer an amazing 3 Year Service Agreement contract whereby we offer a fixed annual rate on servicing stoves and sweeping flues. This contract also includes a saving of £20.00 per year when compared to the standard current price. Not bad eh! We can blank off your redundant flues, fit bird guards, anti-down draught cowls and even supply and fit new chimney pots. It’s all covered on our sweeping page, or let us know what you want by contacting us. If you haven’t got a CO alarm and you have any type of fire we can supply and fit one for only £45.00. It might well be the best £45.00 you ever spend! Carbon Monoxide – the silent killer – find out more here.